Pickens earned her sixth WXC ATV class win of the season. 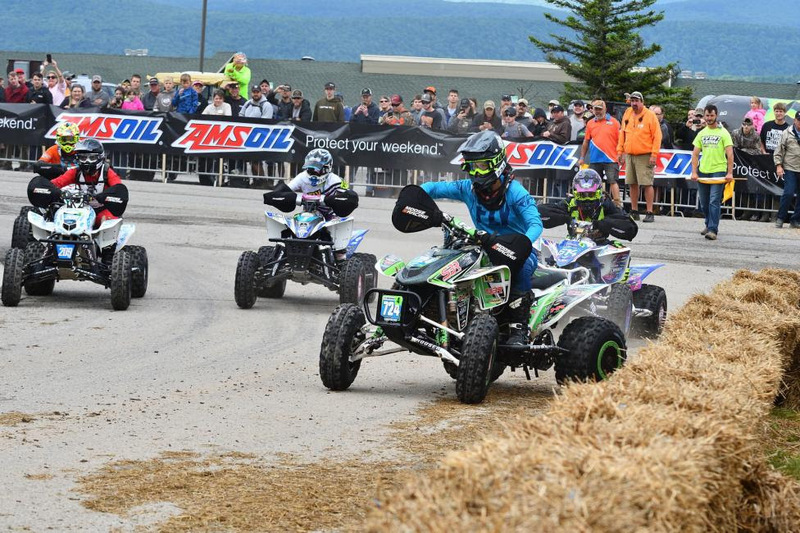 On the weekend of June 23 and 24, the ninth round of the 2018 AMSOIL Grand National Cross Country (GNCC) Series, an AMA National Championship took place at the Snowshoe Mountain Resort. 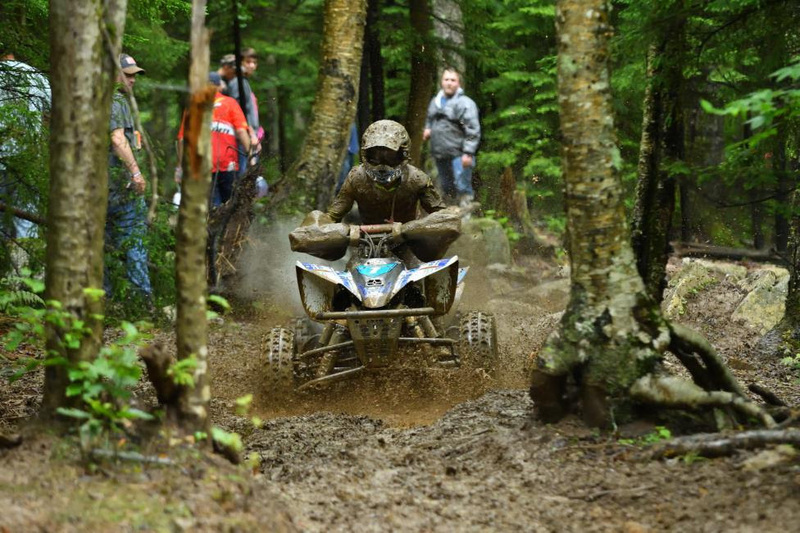 Snowshoe is one of the more gnarly races on the GNCC circuit, as well as one of the toughest courses in the country. In a throwback to the famed Blackwater 100, the start is a live-engine downhill start on the main street of Snowshoe village. The unique two-loop layout at Snowshoe means that the morning riders got to cover over seventeen miles of trail. Megan Shepherd jumped out to the early lead, but Pickens and Osburn were hot on her heels. This year, Snowshoe was made even more challenging by the rain that fell off and on during the week. However, that did not stop the racing where around 70 women racers lined up to do battle against the elements and the mountain. 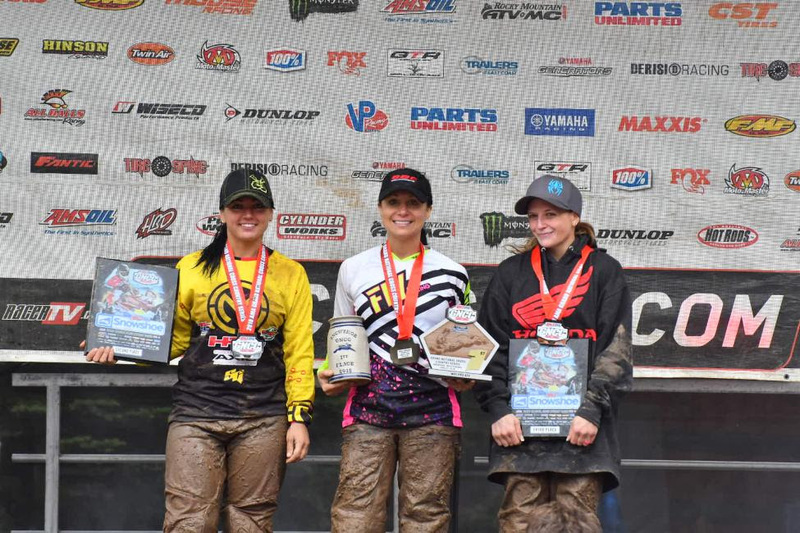 Traci Pickens took home the win in the ATV WXC class on Saturday and Tayla Jones was back on top in the Bike WXC class on Sunday. On Saturday as the ATV morning race began, Megan Shepherd briefly held the WXC lead during the first lap. However, Pickens would manage to get around Shepherd after some trouble struck. Sadiee Gorrell also made the pass on Shepherd when she took a faster line through one of the mudholes. The pass did not stick for long though, as Gorell’s clutch began sticking, dropping her back to sixth. Kara Short rode a smooth first lap, passing Shepherd and Gorrell to take over second place, while Shepherd continued to maintain third place. Katelyn Osburn happened to take a bad line and found herself stuck on the first lap, she would finally work her way out and around Shepherd putting her into the third place position on lap two. The two of them continued to battle, swapping places at least six times during the race. Once Gorrell was able to get her clutch fixed, she and Jaida Phillips battled back and forth before Gorrell made the pass stick. After this, Gorrell quickly caught back up to the front of the pack ultimately passing Shepherd and Osburn. Short was on fire during the next few laps, making up a two-minute deficit from Pickens and taking over the lead for the first time this season. She was able to hold off Pickens and Osburn for a lap, unfortunately she would be passed with one more lap left to go. Meanwhile, Gorrell and Phillips were badly stuck on the last lap. Phillips was pushed back to sixth, while Gorrell managed to stay ahead of fifth place finisher Shepherd, who was having her own troubles with lappers and bottlenecks. Only the top three riders completed the full six laps. After passing Short, Pickens was able to establish a comfortable one minute lead. Pickens said that she “really enjoyed the track this year” and she as very grateful for the mud fleas and fellow racers who helped the WXC riders through the course. Traci Pickens (center), Katelyn Osburn (left) and Kara Short (right) rounded out the WXC podium at Snowshoe. Beau Baron Leads WORCS by 13 Points!